This guide is intended as a checklist used to configure Veripress to softproof publications defined by planning files and loaded using a press console. It is not a tutorial and assumes a general working knowledge of Veripress functions and applications. Press Agent and Bookfilter are both used in this type of setup. As such, there are several areas of Veripress that need to be configured for it to function correctly. Once configured, it is unlikely any further adjustments will be required during day-to-day production. For the purposes of this example, platesetter TIFF files are submitted for softproofing, IFRA Track planning files are used to define the pages for each publication, and the press console is using the Prime Softproof standard. As the Veripress applications used are interdependent, it is recommended that Press Agent, Bookfilter and RIP polling be configured in order. – Open the Press Agent application. – Click the Configure… button. – Configure the options for the driver, including the Directory to Monitor for incoming console page files and publication name parts to include for page search and loading. – Press the Start button to start the Press Agent monitoring for press console paging files. A “Start.” message should appear in the Press Agent log. – Turn/load a page using the console at the press desk. – Check the Press Agent log for a “Matched 0 jobs for…” entry. Note – if no message line appears, stop the Press Agent polling (Stop button) and check the Press Agent configuration settings to ensure it is monitoring the correct directory or port. – Configure Polling options including Poll Interval and Show Books Newer Than (if planning file names are reused or to remove expired planning files from Book searches). – Set the Connection method and directory Paths to poll for planning files. – Click the Test button in the Testing panel. A “Polling OK.” message will display if the Bookfilter can see planning files in the chosen directory path. – If no Books are visible, then press the toolbar Poll button 3 times to initiate a poll. – Check the Books and Pages are displaying correctly. – Check the Book publication name matches the naming format required by the Press Agent. In the example above the “VP_3201_2013-09-12” differs from the “3201 VP 2013-09-12” name format needed for the Press Agent to recognise the Book publications. 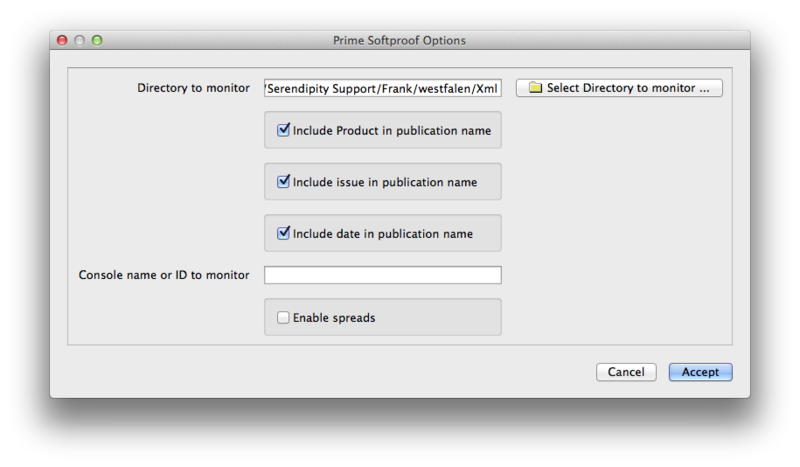 So a Job Genie will need to be created to modify the publication name, then assigned to the Bookfilter. – Create a new Job Genie to re-map the Book publication name to the correct format. NOTE – the Job Genie only requires a Publication Name String in the Display(5) tab. – Assign the JobGenie to the Bookfilter and tick the Apply To: Publication Name checkbox. – Toggle the Polling in the BookMonitor and Poll it again to check the job genie is functioning and the publication Name has be re-mapped correctly. If necessary, refer to your dealer or the knowledge base article to create the Job Genie. – Create a new RIP in the Workbench. 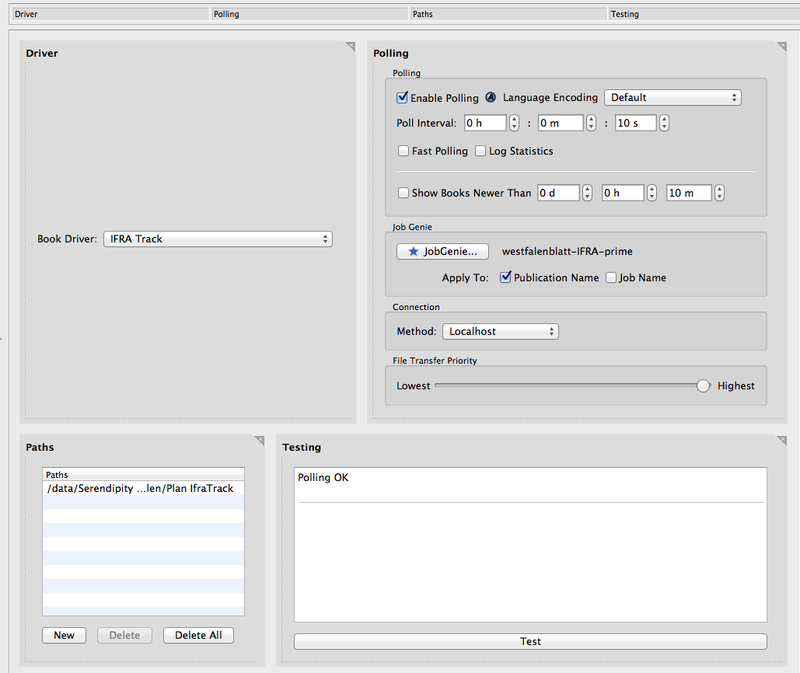 – Configure Polling options including Poll Interval. – Set the Connection method and directory Paths to poll for platesetter files. – Create a Job Genie to collect and group the platesetter RIP files into jobs for softproofing. – Assign the JobGenie to the RIP. IMPORTANT NOTE – the Job Genie must be configured to display jobs in the RIPMonitor named in the exact way as the publication page files listed in the BookMonitor, e.g. “2013-09-12_VP_3201_1” as shown in the BookMonitor image above. The Job Genie only requires a Jobname String in Displays (5), it does NOT require Publication Part or a Publication Name String. 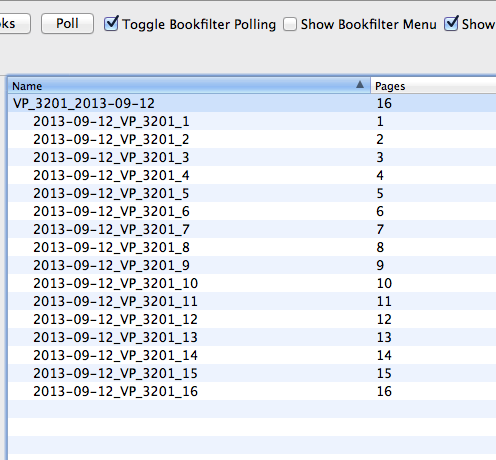 – Make sure there are platesetter files in the RIP polling folder. – Click the Test button in the Testing panel. A “Polling OK.” message will display if the RIP and Job Genie can see jobs in the folder. – Open a RIPMonitor and press the Poll button 3 times to initiate a Poll. – Check the job Names display in same format they do in the Bookfilter. – If necessary modify the Job Genie, save and re-Poll until the job names display correctly. – return to the RIP setup and configure AutoProofing options including Pagesetup. 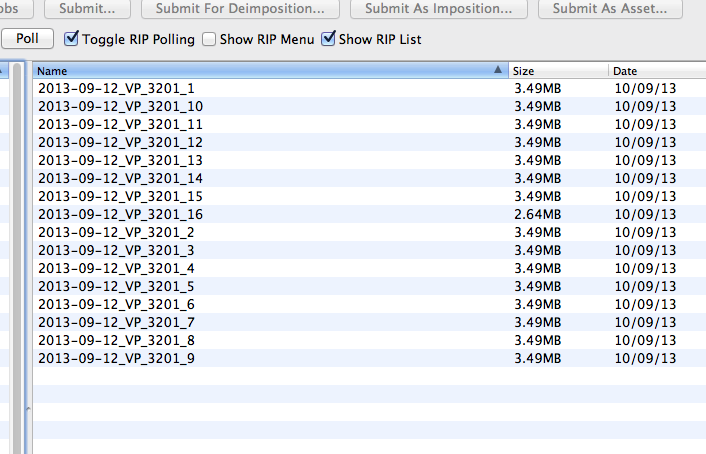 – Enable Polling and save the RIP. – Return to the BookMonitor and press the Queue 0rder… button in the Toolbar. – Set the Pagesetup Queue used to output the softproof jobs to be visible to the BookMonitor by placing the Queue in the right-hand column. – Return to the Press Agent application. – Select the Queue Order… option from the Press Agent menu. – Set the Pagesetup Queue used to output the softproof jobs to be visible to the Press Agent by placing the queue in the right-hand column. – Select the Book Order… option from the Press Agent menu. – Set the Bookfilter configured previously to be visible to the Press Agent by placing it in the right-hand column. The Press Agent, Bookfilter and RIP should now be functioning correctly and ready for use in production. – Platesetter files will be collected by the RIP setup and AutoProofed to the chosen Pagesetup. 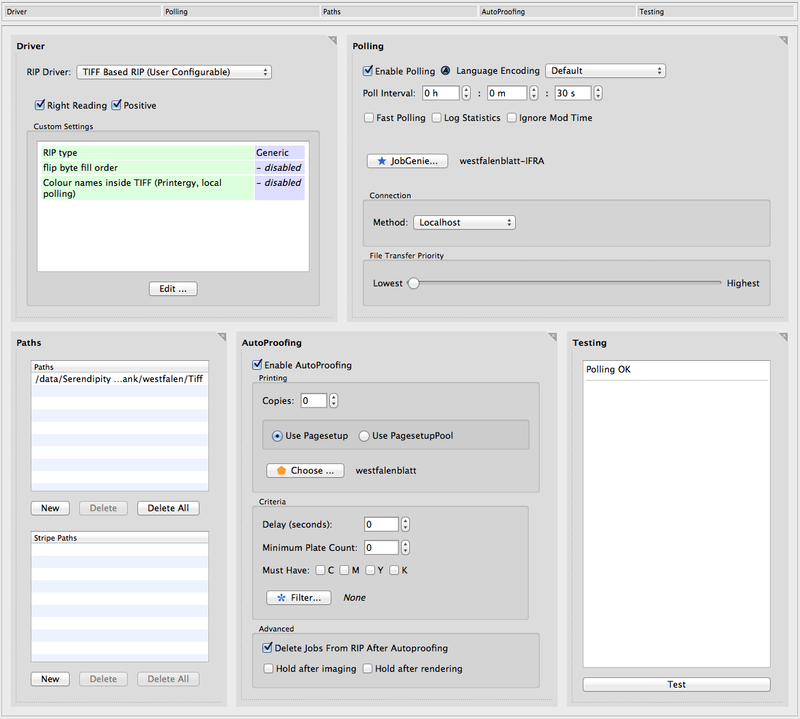 – Processed proofing jobs will sit in the QueueManager waiting to be loaded into Softproof. 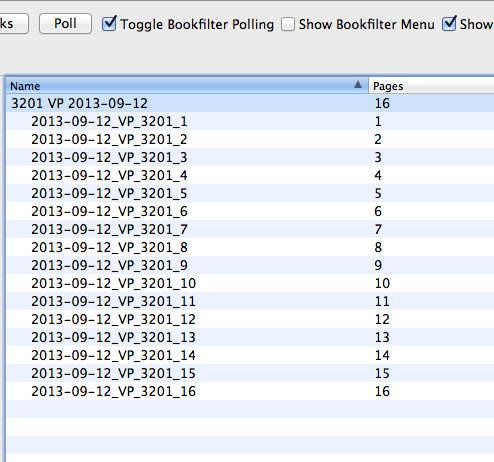 – BookMonitor will poll the publication planning file folder and display the files as Books in the BookMonitor. – Press Agent will be listening to the press console for commands to load publication pages. – BookMonitor searches the QueueManager for a job with a name matching the publication page file name in the Book. – if a match is found, the page is loaded in the Softproof window on the main display on the press desk and the Touch Console control panel opens. – if a match is not found, a blank page is loaded in the Softproof window informing the press operator the page has not yet arrived on press.